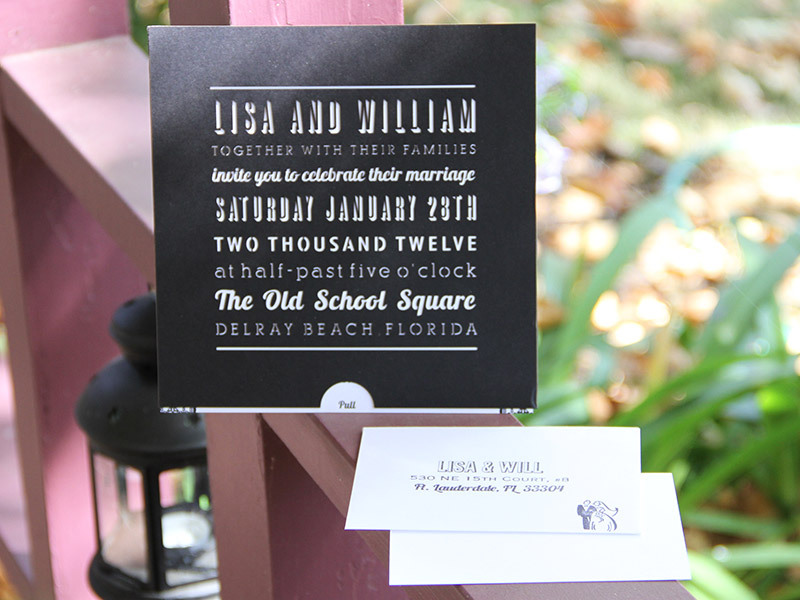 Lisa and Will - Wedding Invitations - Pure Black, Inc.
For Lisa and Will’s wedding we laser cut the event details from the exterior casing (black cardstock) then designed and printed the inserts and RSVP’s. Came out quite nice indeed. Congratulations to you both!